Somehow, despite our obsession with its delightful insanity, all we’ve seen of the 2018 Honda Civic Type R thus far has been a prototype. 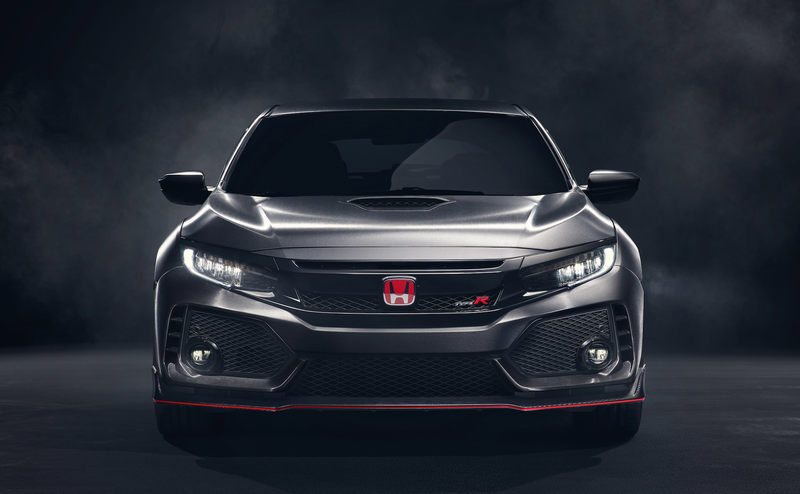 But that will all change soon, as Honda announced that the production version of the U.S.-bound Type R will roll on into the Geneva Motor Show next month. Perhaps the hottest hatch of them all, we’ve been anticipating the 2018 version of this wild performance Honda Civic for what seems like forever. There were expectations for the Type R to debut in Geneva, but Honda officially confirmed it on Thursday. The car will also join two other Hondas in debuting at Geneva, with the manufacturer announcing that it’ll bring the Honda Clarity Fuel Cell and the Honda NeuV electric concept to the show as well. Honda said production on the Type R will start in the U.K. this summer, with delivery destinations including Europe, Japan, and, thank the car gods and the heavens and whomever else you may worship, the United States. This is the first time a Honda-badged production Type R has ever been sold in the U.S., which makes it kind of a big deal. When it does get here, it’ll have a 2.0-liter turbocharged engine and a manual transmission. As for everything else, the Type R prototype above should give our imaginations a good idea of what to expect from the production car. But we won’t have to imagine for too long. See you next month, Type R.